1975 was the year Pink Floyd appeared, complete with World War II spitfires flying low behind the stage as they started their set. Roy Harper appeared backstage on a horse and was most upset when he wasn't allowed to ride it on to the stage, due to the 16' drop. Quadrophonic sound was installed, probably the first time at any outdoor event. Booked after the poster was printed the late Graham Chapman of Monty Python's Flying Circus made various silly appearances throughout the day. The complete programme included Pink Floyd, the Steve Miller Band, Captain Beefheart's Magic Band, Roy Harper and Linda Lewis. 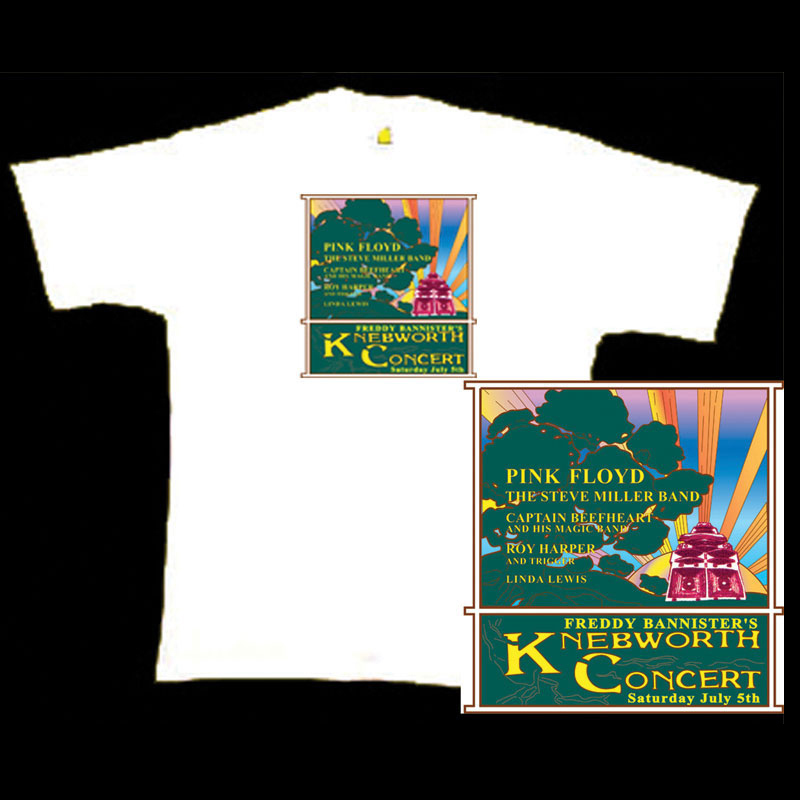 The Knebworth Pink Floyd T-shirt was worn by the crew who worked at the event. Suite 40, 23 King Street, Cambridge CB1 1AH.